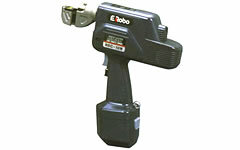 REC-10W Battery Operated Tools: Izumi Products. The REC-10W was designed to cut 3/8" threaded rod used for hanging ducts, sprinkler conduits and cable racks commonly used in building construction. The 3/8" hanging rods are secured by using anchors buried into the ceiling. Then it is cut to the length required for the hanging materials. 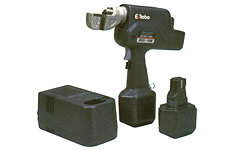 Cutting capacity BP-70E 240 cuts, BP-250R 450 cuts.